Sarangani is a province of the Philippines located in the SOCCSKSARGEN region. Its capital is Alabel. With a 230 kilometres (140 mi) coastline along the Sarangani Bay and Celebes Sea, the province is at the southernmost tip of Mindanao Island, and borders South Cotabato and Davao del Sur to the north, and Davao Occidental to the east. Sarangani is part of the South Cotabato-Sultan Kudarat-Sarangani-Gen. Santos City (SOCCSKSARGEN) development cluster, and is linked by paved roads to the international airport and harbor of Gen. Santos City. The island of Sarangani was named by Ruy López de Villalobos in 1543 as Antonia, in honor of Antonio de Mendoza y Pacheco who commissioned Villalobos expedition to the Philippines. The early inhabitants who first inhabited Sarangani were the indigenous natives, called "MunaTo," a native term for "first people." In 1942, the Japanese troops occupied Southern Cotabato (now Sarangani). In 1945, Filipino troops of the 6th, 10th, 101st and 102nd Infantry Division of the Philippine Commonwealth Army and 10th Infantry Regiment of the Philippine Constabulary entered and liberated in Southern Cotabato (now Sarangani) and fought against the Japanese Imperial Army forces during the Battle of Cotabato at the end of World War II under the Japanese Occupation. Before its inception in 1992, Sarangani was part of South Cotabato as the Third District of South Cotabato. The province was created by Republic Act No. 7228 on March 16, 1992, penned by Congressman James L. Chiongbian. His wife, Priscilla L. Chiongbian, was the first Governor of Sarangani. They are known as the Father and Mother of Sarangani Province. Coconut, corn, rice, banana, mango, durian, rubber, and sugarcane are just some of the major crops now being planted by the Sarangans. Other possibilities lie in a wide range of commercial choices: industrial plantations (mango, abaca, coffee, rubber, and rattan), agro-forestry (high-value crops), light manufacturing and processing facilities, real estate and housing, tourism, beach resorts, hotels and restaurants, recreational facilities, port zone development, milling plants, fruit production, processing of canned fruits and vegetables, production of ornamental plants, furniture, trading, telecommunications, mining, and aquaculture. 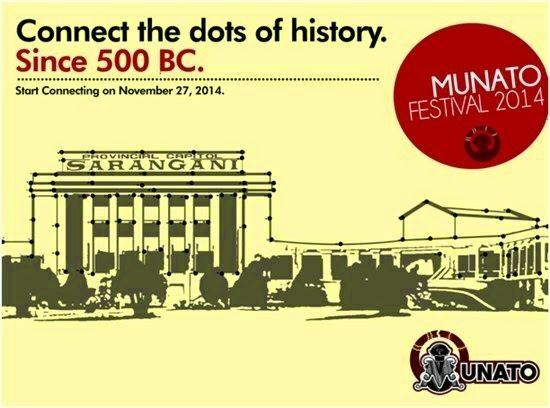 Sarangani celebrates its foundation anniversary every month of November, named as "MunaTo Festival." The famous Maitum white water tubing is also located in Sarangani, 1.6 km. of wild water tube ride in Pangi River at barangay New La Union, Maitum Sarangani Province. Pangi River was 2nd Runner Up in 2003s national search for the cleanest river in the Philippines. Here you can also enjoy day-trekking or horseback riding and commune with nature along the way. Its landmark "Isla Parilla" resort is now an "AA" world-class resort, built within a man-made island. 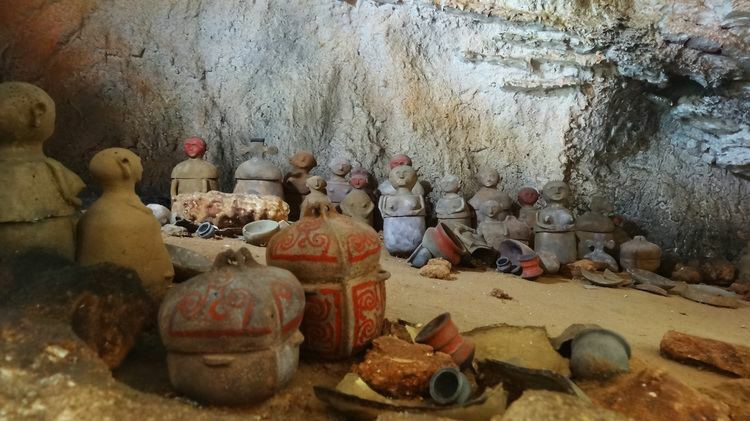 Sarangani also has, as treasure, its ancient burial jars, discovered by archaeologists from the National Museum in Ayub Cave, Maitum, in 1991 and in 2008, at Sagel Cave, Maitum (now declared by National Historical Institute as a national historical sites). Amid Mindanaos armed conflicts, artifacts found thereat prove settlements of pre-historic civilization in Maitum.